I finished this jacket finally! I think it turned out really cute! I cut everything out super precisely and was so careful sewing! I wanted the tartan to line up but it doesn't really. My seam allowance turned out to be bigger than I thought and it ended up not lining up properly. But it looks okay regardless! I also used press studs instead of button holes because I didn't want to muck it up. 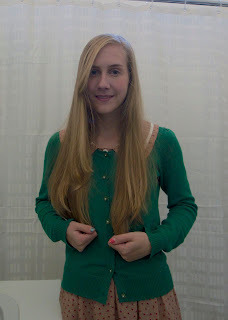 I sewed buttons on top to complete the look! I wore this out the other night with a black dress and it worked really well. I agree! Very cute! I can't believe you did yourself. *_* I'd poke myself with a needle a million times before I can ever get something like that out. oh wow, that's super cute. Matching pattern is so finicky! Did you use a commercial pattern for it? 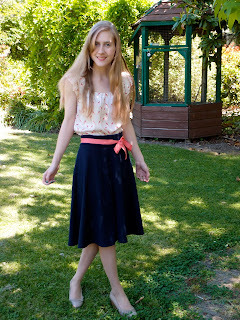 Yes, it's a Vogue pattern which also comes with a cute dress patteri might try for the summer!